Congratulations to Dr Amaury Triaud for winning the highly prestigious 2014 MERAC Prize, awarded by the European Astronomy Society for the Best Doctoral Thesis in Observational Astrophysics. 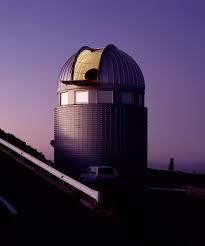 Dr Triaud was a PhD student at the Geneva Observatory of the University of Geneva, supervised by Prof. Didier Queloz. Amaury Triaud took charge of the radial-velocity campaign following up WASP-South planet candidates, using the Coralie spectrograph on the Swiss/Euler 1.2-m telescope at La Silla, and has thus played a major part on the discovery of all WASP-South transiting exoplanets. The MERAC prize highights the success of the European collaboration between the British WASP-South transit search, the Swiss Euler/Coralie spectrograph, and the Belgian-led TRAPPIST robotic photometer. In addition to the planet discoveries, Amaury Triaud lead-authored a landmark paper on the dynamical origins of hot-Jupiter exoplanets, deduced by measuring the angle between the planet’s orbit and the host-star’s spin, which has already been cited 170 times. Amaury’s work provided strong evidence that hot Jupiters formed much further out than their current orbits, and were moved inwards by the Kozai mechanism. This entry was posted in Hot Jupiters, WASP planets and tagged Amaury Triaud, Coralie, Euler, MERAC Prize on April 7, 2014 by waspplanets.